Please select from the drop down menu which region you are shopping from. Please note the currency outside of the UK & Europe is US dollars. Gastrointestinal Nursing Journal - Sale! Journal of Kidney Care - Sale! International Journal of Palliative Care - Sale! British Journal of Cardiac Nursing - Sale! British Journal of Neuroscience Nursing - Sale! British Journal of Healthcare Assistants - Sale! Journal of Aesthetic Nursing – Sale! 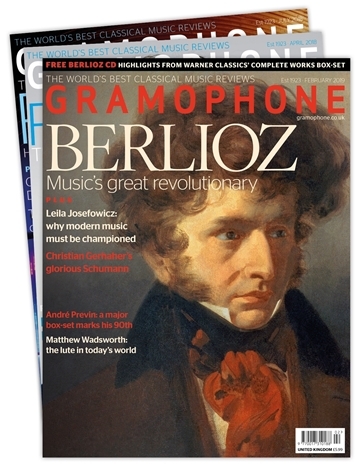 Save 15% on the new-look 'Classical Music'! Save 15% in our Easter sale! Save 15% on the new-look International Piano! Equine Health - Easter Sale! Songlines Spring Offer - Free David Attenborough album! 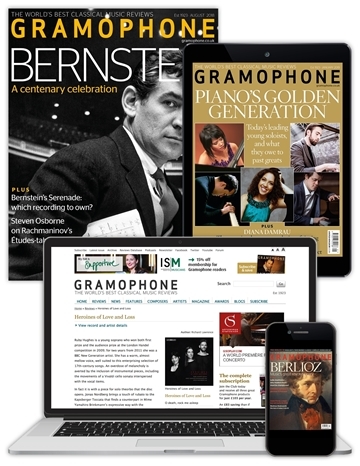 New Year Offers: Gift Subscriptions & More! 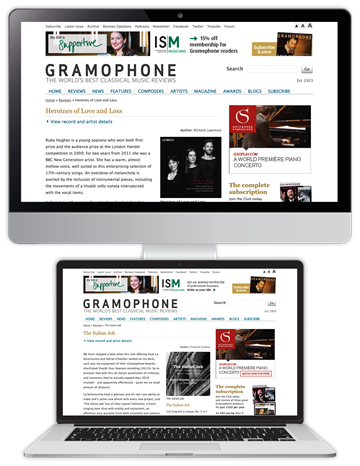 Since 1923, Gramophone has remained devoted both to exploring the work of international artists stamping their mark on recording and celebrating the legacy of great composers both past and present. With more than 100 reviews in every issue, you’ll always find the most important new releases and reissues. 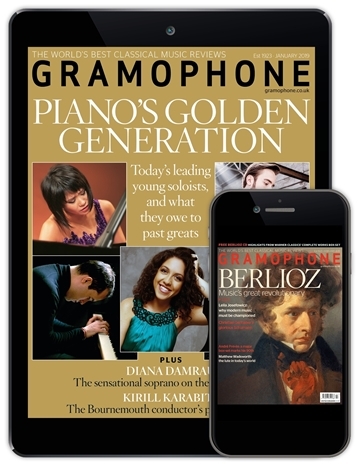 As a thank you for voting for this year’s Gramophone Awards Orchestra of the Year, we invite you to subscribe to the world’s leading classical music reviews magazine with this special offer – a 20% saving on any of our five great subscription package options from as little as £4.27 a month*. 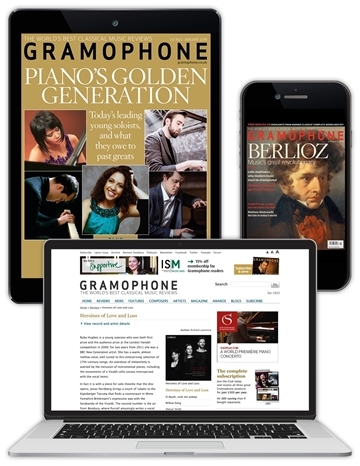 Choose your preferred subscription package below, and enter promo code OOTY18 at the checkout to receive 20% off! Your discount will be applied at the checkout. *Price based on an annual rate of £51.20 (Print, Digital, Reviews). Overseas print orders will incur an additional P+P charge. Money-back guarantee. If – for whatever reason – you are not happy with the first issue you receive, our 30 day money-back guarantee means we will offer you a full refund, so you have nothing to lose. The first issue will be yours to keep. Institutional subscriptions. Click here for information regarding our institutional rates for universities and private or public companies. The Mark Allen Group is a dynamic media company which delivers high-quality content through market-leading journals, magazines, books, events, exhibitions and websites. Our brands offer unrivalled access to specialists in healthcare, education, business and consumer markets. Our success comes from a focus on editorial excellence; our in-depth knowledge of our markets’ and our customers’ needs; our commitment to educate, inspire and engage our audiences; and our ability to think differently to provide innovative client-focused solutions. 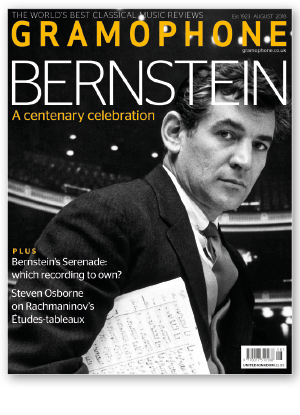 Copyright © 2019 MAG Subscriptions UK. All rights reserved.